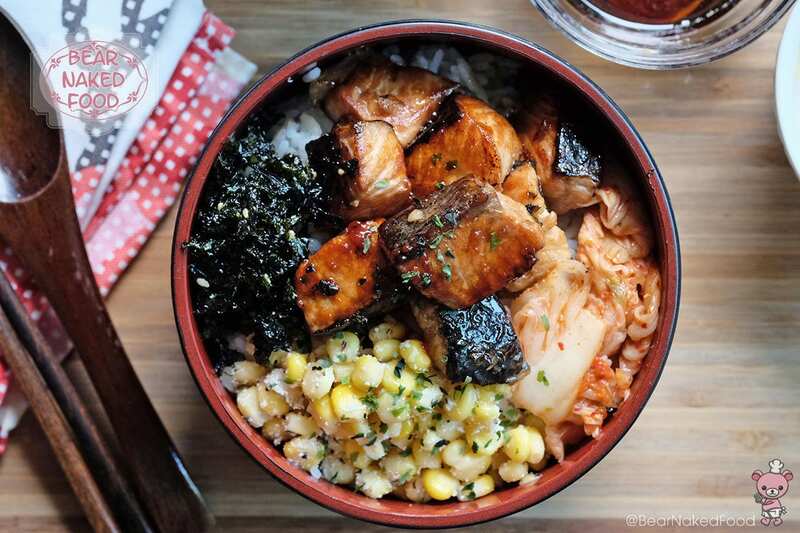 Many of us would agree that Japanese rice bowl dishes taste exquisite. 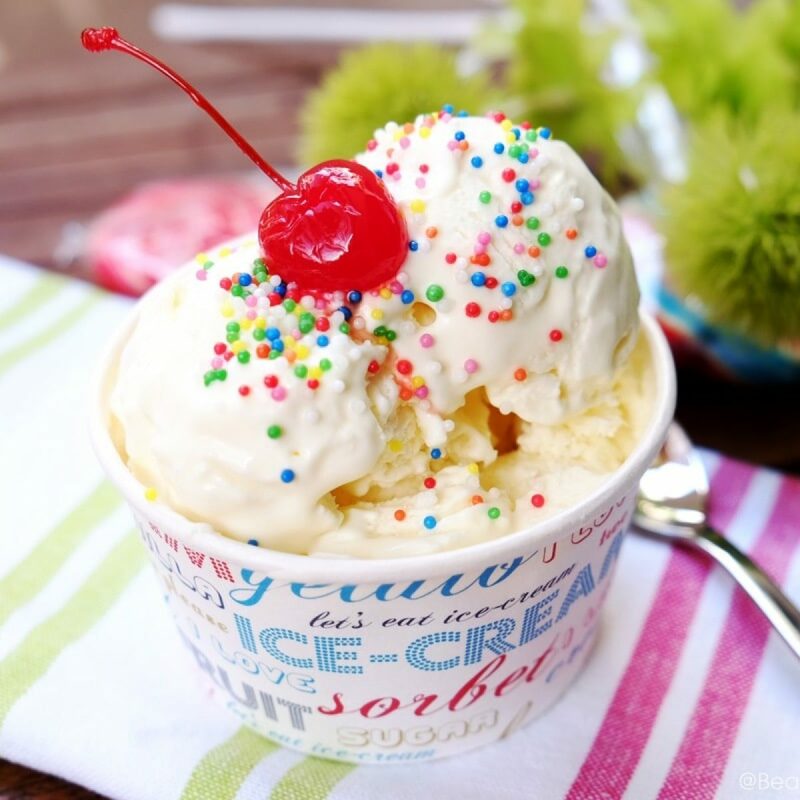 Many of us may also agree that once in awhile, a variation from the usual combination found in most restaurants and eateries provide a refreshing relief, and a chance for our minds and tummies to explore a little. 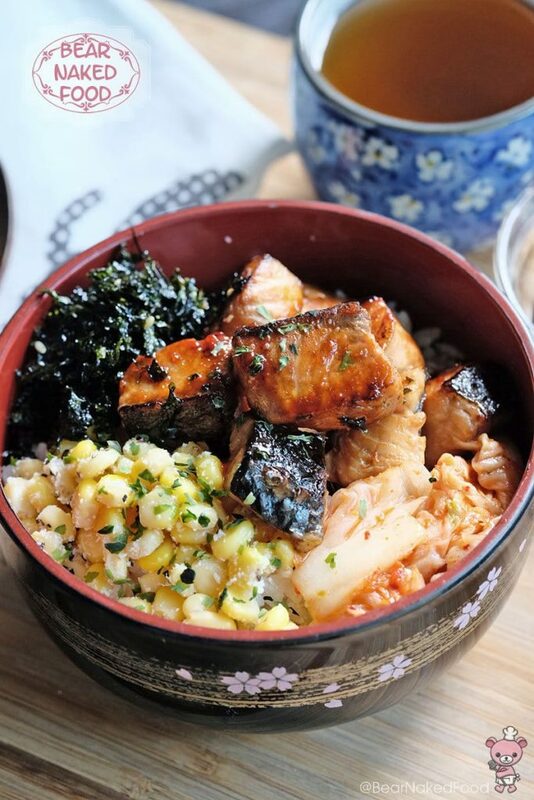 What better way to do that than to try out this Korean inspired variation of the usual Japanese Salmon Rice Bowl (sake don)? Just the perfect dose of the familiar with a new twist of ingredients. Pescatarians and seafood lovers can rejoice in this recipe. Of course it does not have to be salmon being used in this dish. If you prefer, any form of fish of choice can also do wonders. 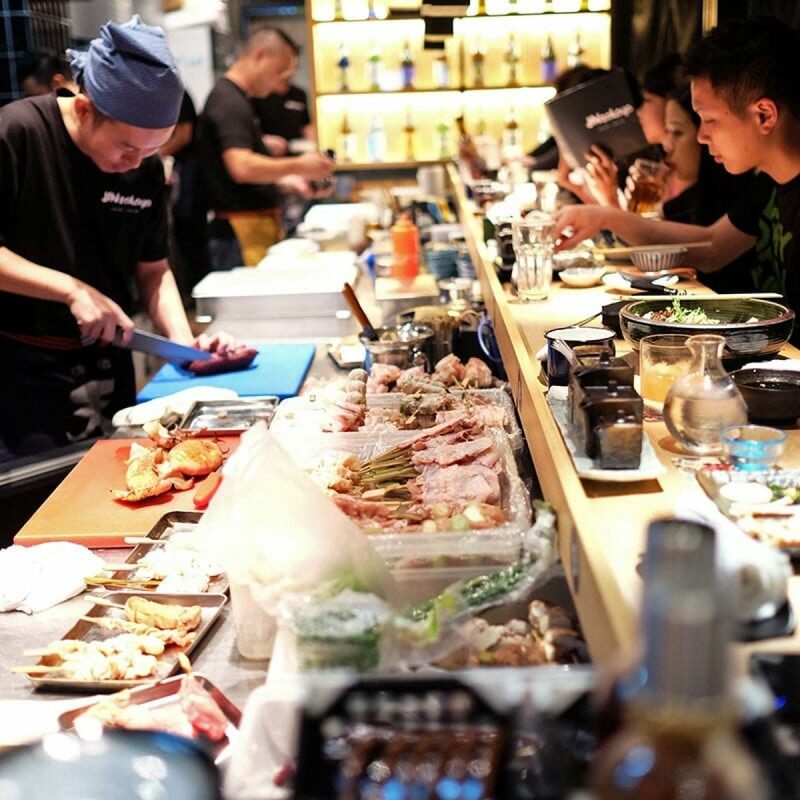 The important aspect is to use a fish that you like. 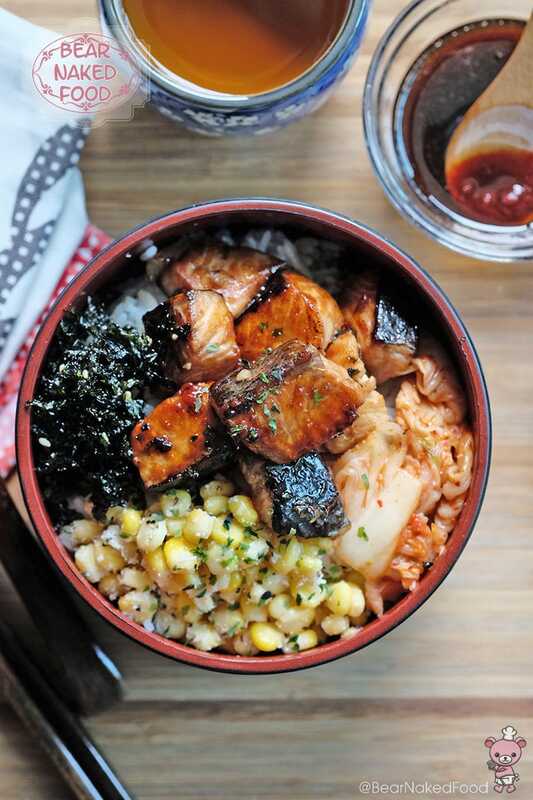 And one that is not too assertive that it fights with the other ingredients, especially the gochujang in this dish. 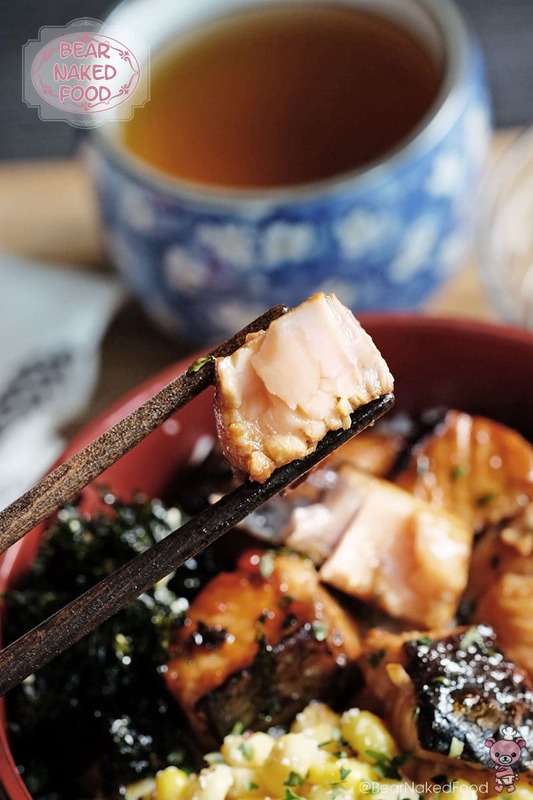 Salmon was used as it provides the right levels of oiliness and richness. And it crisps up beautifully when pan fried. 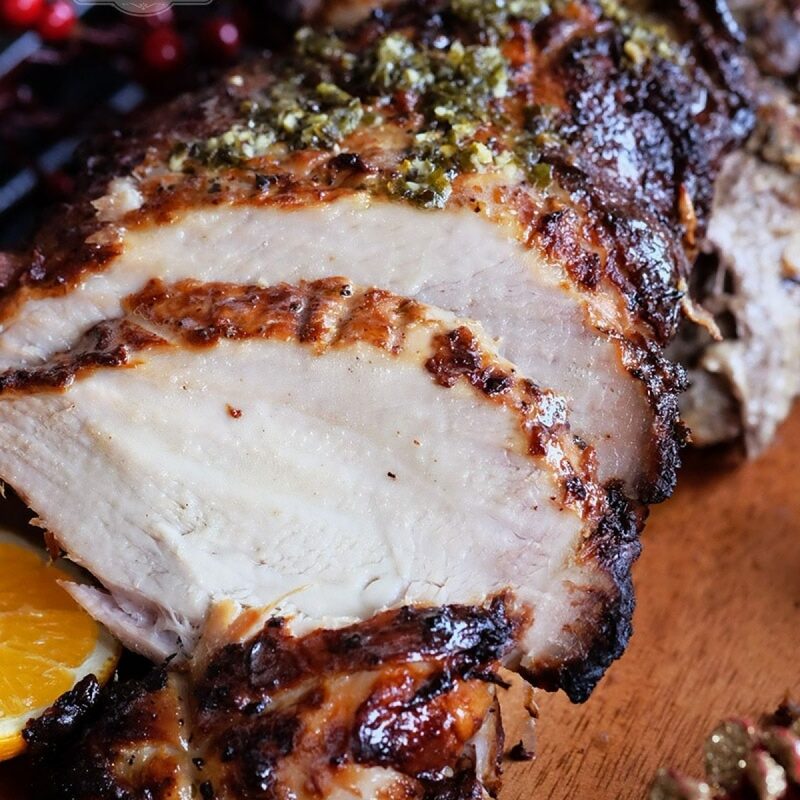 Other great substitutes include red snapper, sea bass and even the more indulgent salmon belly. 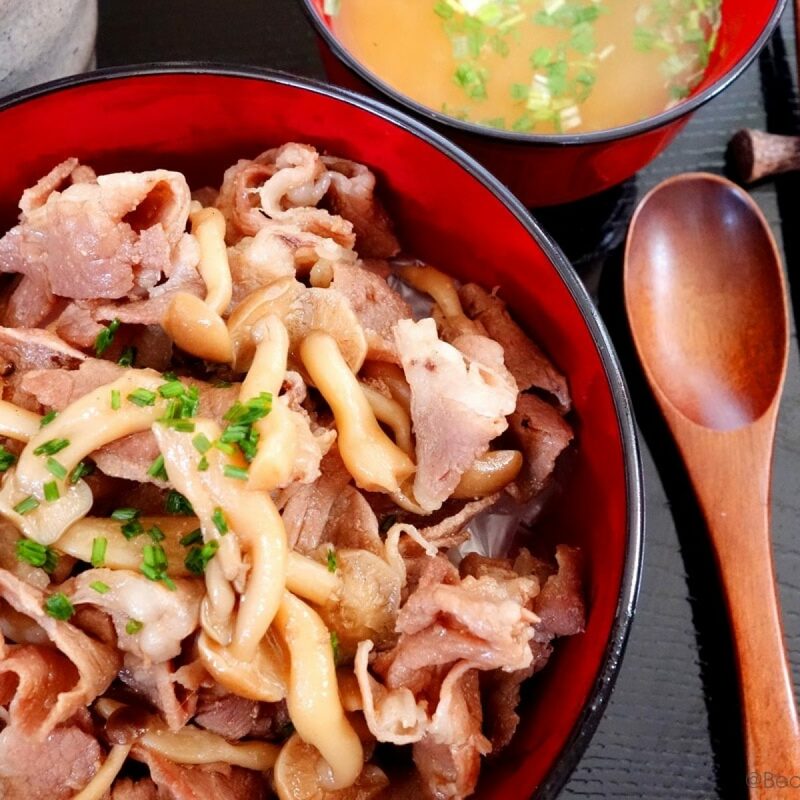 Tuna however, can be deemed less ideal due to its tougher texture. 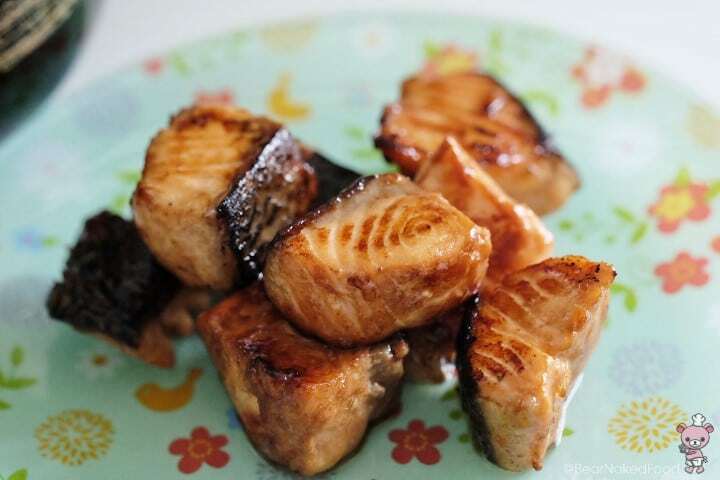 However if you happen to have sashimi-grade tuna, sear it on a higher heat for a shorter time so that the outside bronzes up nicely, while the inside remains deliciously moist and tender. Fresh corn is also used in this recipe as well. It is not too difficult to work with contrary to many people’s belief. 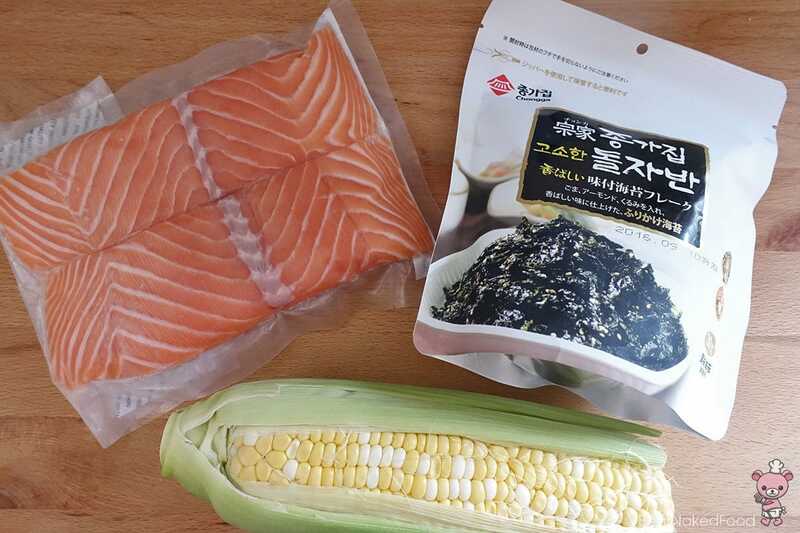 However canned corn kernels are also a good substitute for those who prefer a more speedy and convenient option. Just drain the corn, and proceed to use it the same way as fresh corn is used in this recipe. 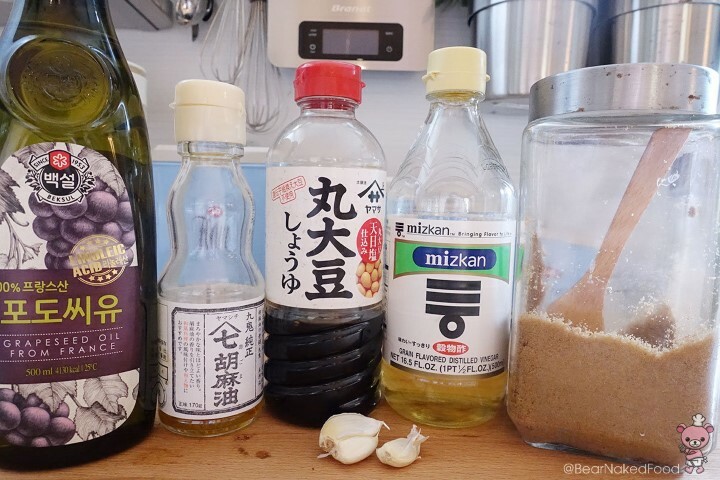 The line up of marinade for salmon. 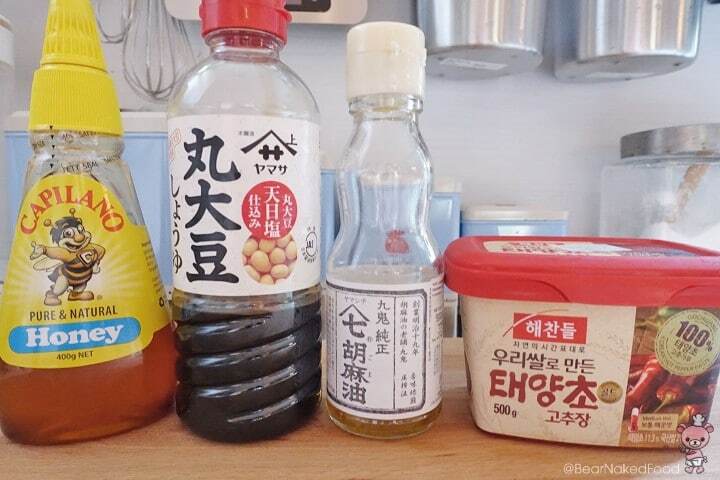 The line up of marinade for gochujang dressing. Pour all over the cubed salmon and marinated for at least 30 mins in the fridge. Place the corn on a griddle or pan and cook each sides for 5 mins, until slightly charred and translucent. Alternatively, you could cook it in the microwave. Click here for method. 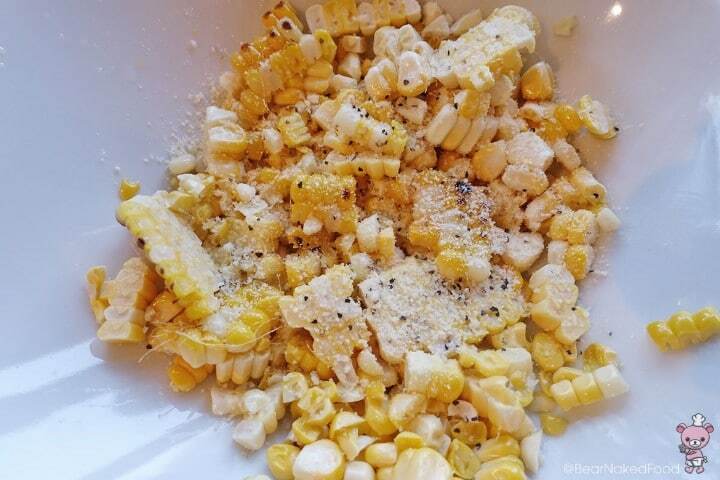 Slice the corn kernels and place them in a medium bowl. While they are still warm, seasoned with mayonnaise, salt and pepper. Since I ran out of mayonnaise, I used grated parmesan cheese instead. 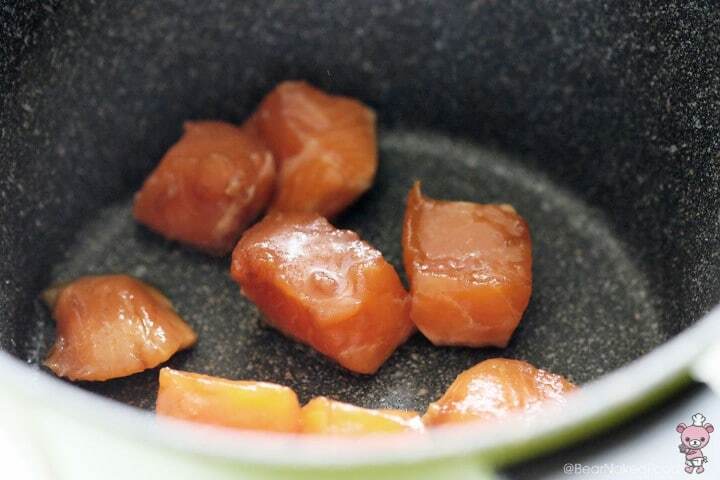 Heat up an ungreased non-stick pan and place the salmon cubes, skin side down. Cook for 1 min before flipping them over. 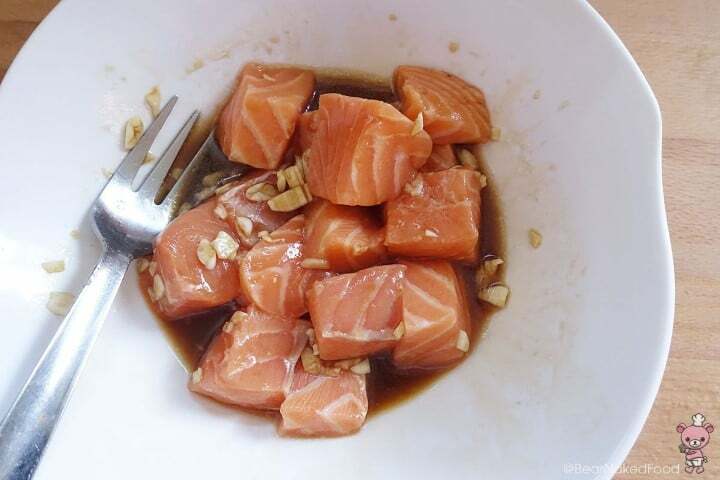 *To avoid overcooking the salmon, do not cook them for more than 2 mins. 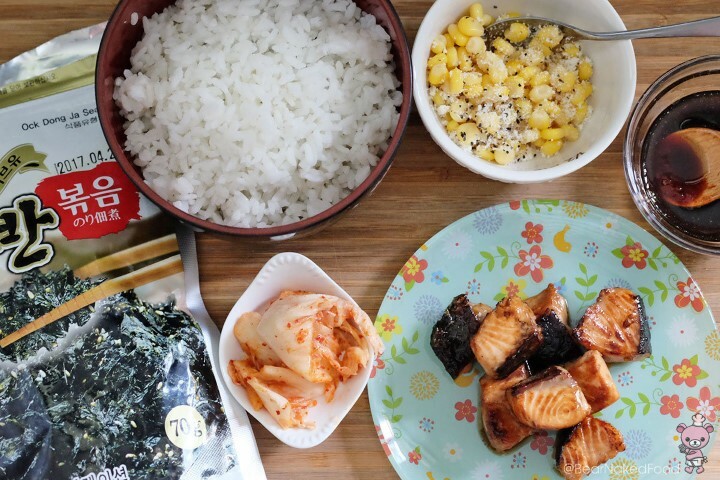 To serve, place cooked rice in a bowl and place few pieces of salmon, spoonful of corn, Korean fried seaweed and kimchi (if using). 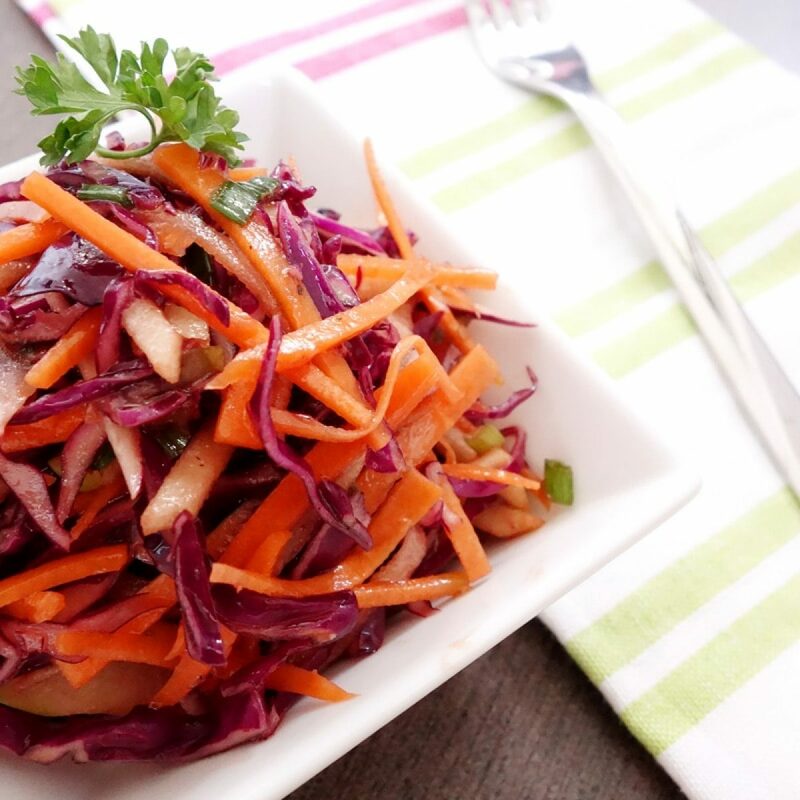 Drizzle gochujang sauce all over and enjoy. 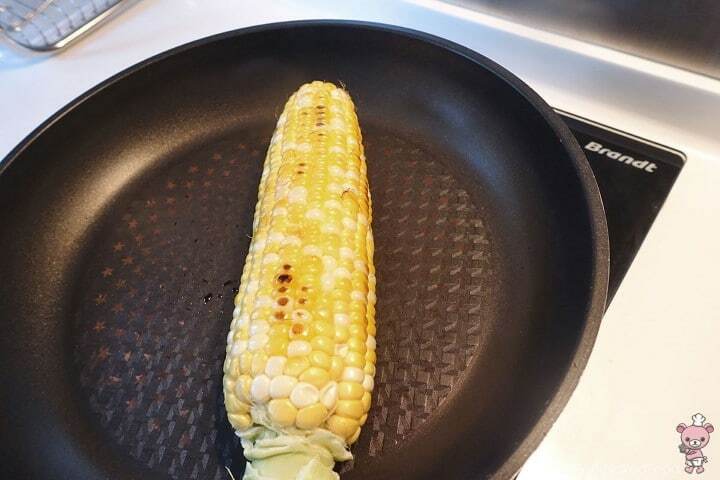 Place the corn on a griddle or pan and cook each sides for 5 mins, until slightly charred and translucent. 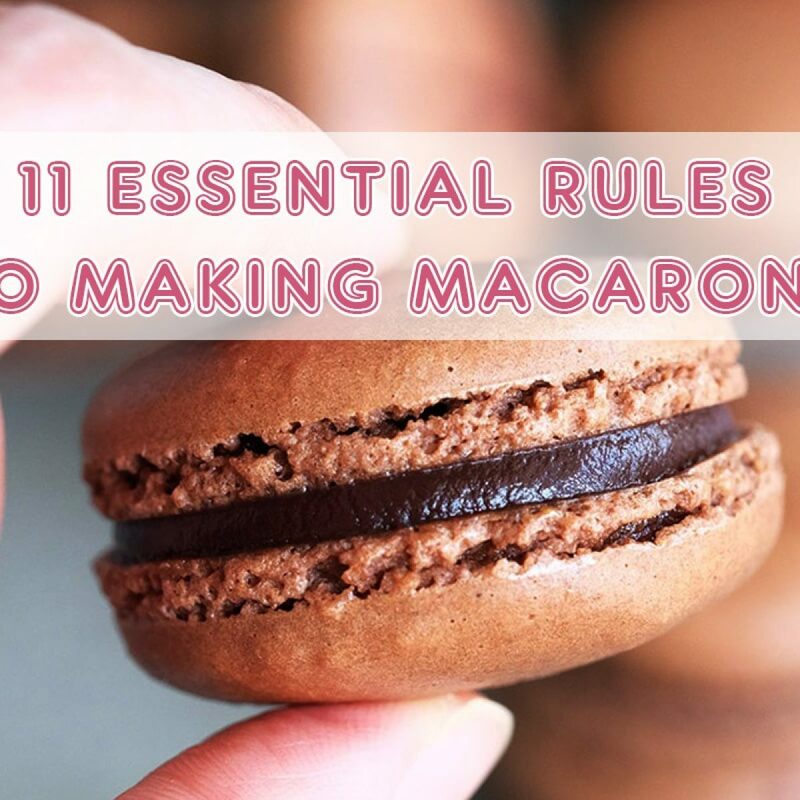 Alternatively, you could cook it in the microwave. Click here for method.